Large candles. The London Candle Company supply a range of high quality, extra large and multi wicked candles. Manufactured in Europe, the candles all burn impressively. Place in a hurricane lamp and make a really impressive statement. 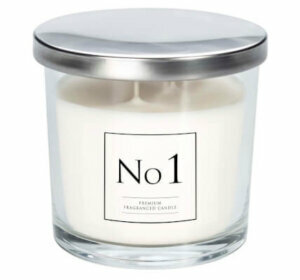 We stock a 150mm x 150mm three wick ivory candle, a 3 wick vanilla candle in glass, plus additional ranges of multi wick candles. If you are looking for single wick pillar candles or church altar candles, we stock a wide range of sizes, with our most popular colour being ivory. 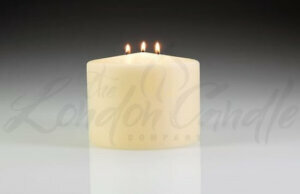 The London Candle Company. Free UK delivery for orders over £50 plus vat. Buy in bulk and save. Bulk buy and group purchase discounts available.